Our Mission: VOZ is a worker-led organization that empowers diverse day laborers and immigrants to improve their working conditions and protect civil rights through leadership development, organizing, education, and, economic opportunity. Join VOZ for a day of flyering the North, NE and SE neighborhood! 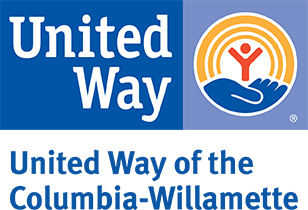 This opportunity is calling for volunteers who are ready to do outreach on behalf of Voz in different neighborhoods of Portland. The purpose of flyering is to spread the word about the services local Voz day laborers can provide. Be ready to learn more about Voz and travel as a group via carpooling to distribute flyers. This opportunity occurs rain or shine, so dress accordingly. Travel: Hands On volunteers will be split into groups and carpool together to various Portland neighborhoods. *If you signed up for this opportunity as a team please consider carpooling together and know we will ask drivers to give Hands On volunteers rides as well. * Transportation is a big need to help things go smoothly, so the Voz coordinators will reach out to arrange for groups to travel together. Our Internal Organizing program is focused on building leadership within the day laborer community. We offer leadership development workshops at the Worker Center on topics ranging from Facilitating a Meeting to Mass Incarceration. We use Popular Education methodologies – an empowering practice of mutual teaching and learning that aims to name and transform realities of oppression – in all of our work. Our Internal Organizer works with day laborers on the street corner and at the Center to build knowledge of their rights and build community power. ​Our External Organizing program brings the voice and perspective of day laborers to community organizing and policy advocacy efforts. We believe that sustainable grassroots social change comes from building strong, diverse coalitions that address the root causes of systemic oppression. We fight for immigrant and worker rights in local, state, and national coalitions, including the National Day Laborer Organizing Network, the Portland Immigrant Rights Coalition, the Oregon Coalition to Stop Wage Theft, the Coalition of Communities of Color, and Portland Stands United Against Hate – to name just a few!